If you hope to succeed in the mortgage business, you need a steady source of new customers. Advertising and marketing have their places, but a mortgage referral program, where you reward your existing customers for providing leads on new customers, can be a highly effective tool. If you depend on high-quality, actionable leads, a customer referral system could be part of your solution. If you want any plan to succeed, you first need to know what success looks like. Your mortgage referral program is no different. From the beginning, set measurable performance targets so that you can gauge the impact of your efforts and measure the return on your investment. It may seem obvious, but you must explain any effective mortgage referral program in clear terms. For instance, how do you define a high-quality, actionable lead? If you want your program to succeed, you must clearly define your program. How do you receive the leads from your customers? What do you do once you receive these leads? Everybody must understand his or her tasks for your program to function properly. Along with relevant, helpful content, be sure to communicate regularly with your customers and give them an easy way to provide their referrals to you when the time comes. These could include postage-paid reply cards or personalized web pages (also known as PURLs). 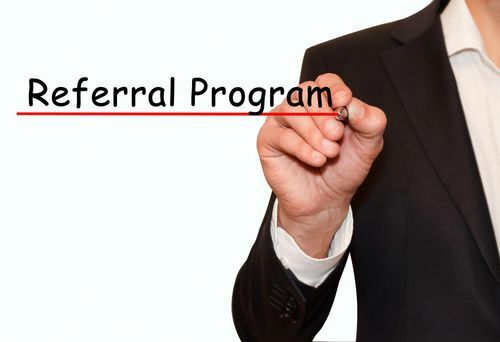 Mortgage referral programs can be effective marketing tools. They are inexpensive and easy to implement. If you are looking for a new source of leads, your current customers could be the answer. #4 seems to be an illegal kickback? Hi Debra – Thank you so much for reading! We don’t believe RESPA pertains to customer appreciation tokens or incentives. We believe it only applies to agents or other referral partners. Of course, we recommend following any compliance guidelines your company has in place.